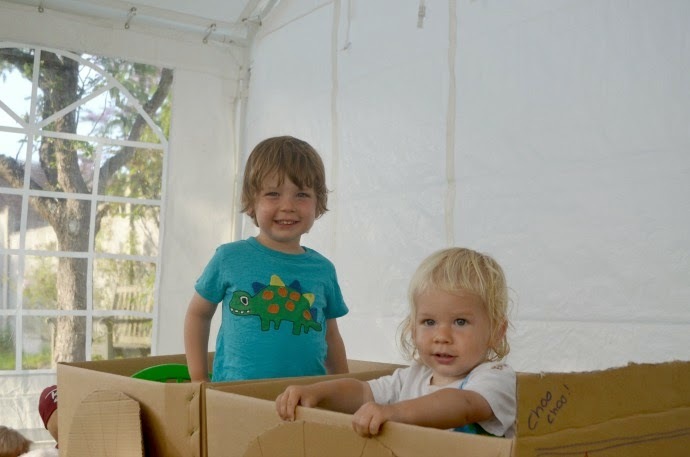 My children have a playroom full of toys, a garden full of ride-ons, buckets and spades and enough brightly coloured plastic to see us through for years. 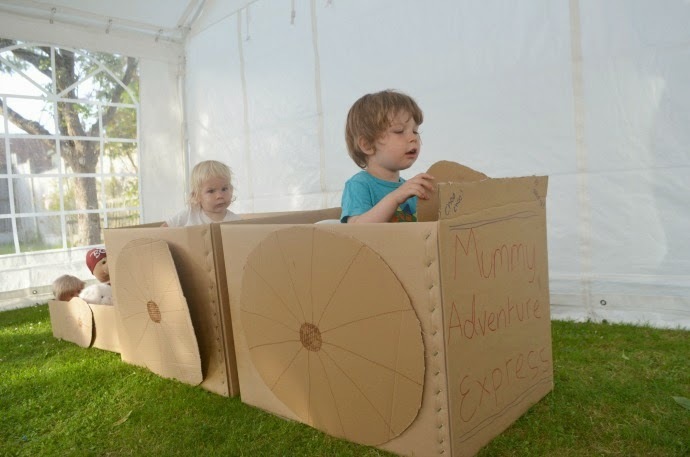 Give them a cardboard box though, and the dun lasts longer, the giggles are louder and their little imaginations just blow you away. 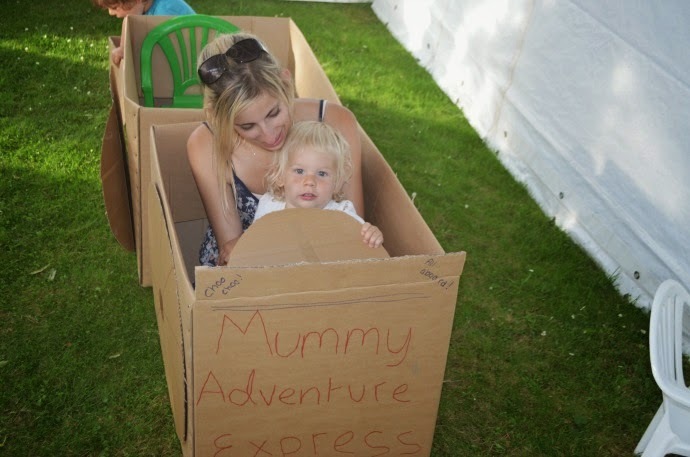 Davpack, the packing company sent us some cardboard boxes, and I decided that what the garden didn't have, was a train. 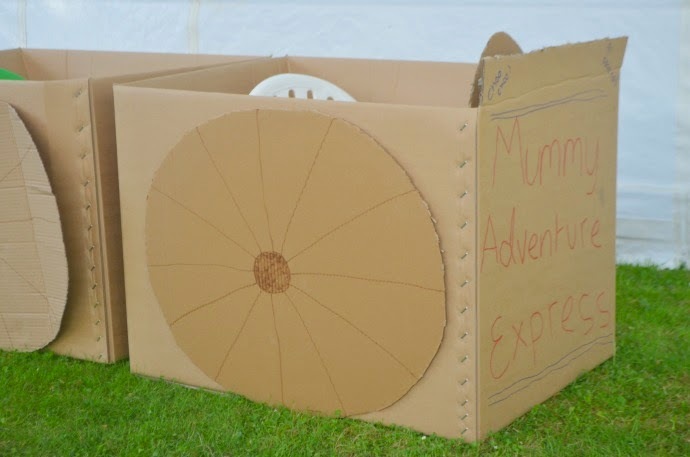 With the aid of some cardboard boxes, some scissors and some felt tips, I made the boys their very own choo choo, and they loved it. 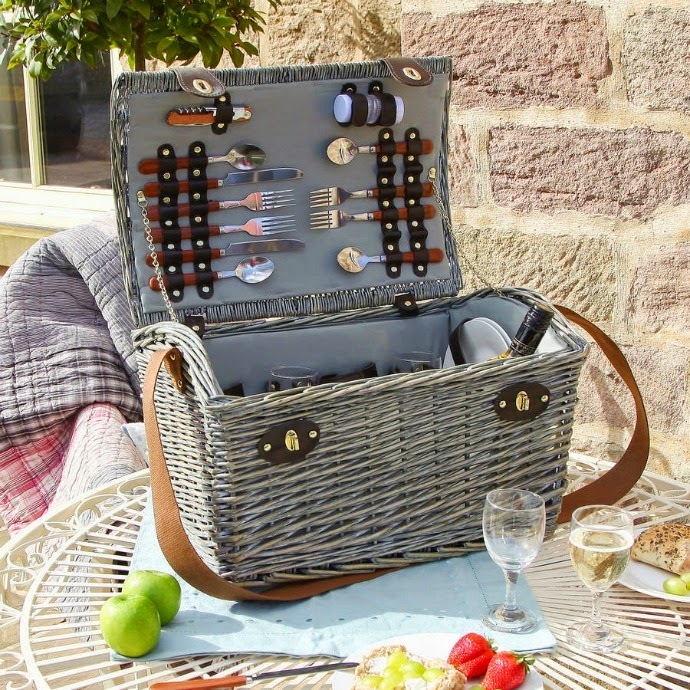 I have teamed up with Davpack to give you a chance to win this gorgeous picnic hamper from Not on the High Street, perfect for the end of the summer, and making the most of those sunny days. Entry is via the simple rafflecopter form below. This looks great!! Dylan's looks like a natural train driver!! Also I would make a giant tower and jump out of it and surprise people! Love the photos! Mine would probably make a ferry! A wendy house! 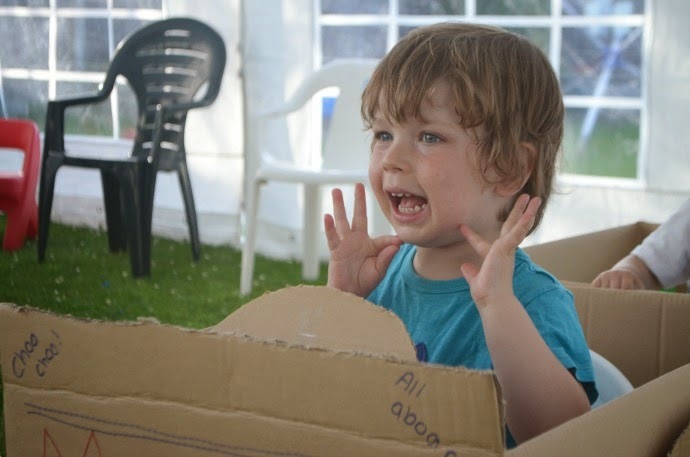 My husband built a wendy house and came home one evening to find my daughter playing in a cardboard box and exclaimed "look! it's a wendy house!" much to his despair! A secret laboratory where she can take over the world! Mine are always making dens! It would have to be a pirate ship. the tardis..... my younger daughter has no idea what the tardis is but goes along with her older brother, she is worried incase the Tardis does go to another planet and leaves her behind, she said she NEEEEDDDSSS to be with her big brother. My son and boyfriend would have used the box to slide down the stairs, I would have had to look the other way and try to think about something else other than potential bruises and broken bones! My little one likes us to cut holes in boes for his head and arms and pretends to be a robot! My kids would love to make a rocket! A dinosaur house that Bear ( the dog ) and Little Bear ( the ted ) can fit in! They'd make a den of some sort. A fort where he can hide with all his toys. My daughter is still at the age where she would wave it around and then eat it. 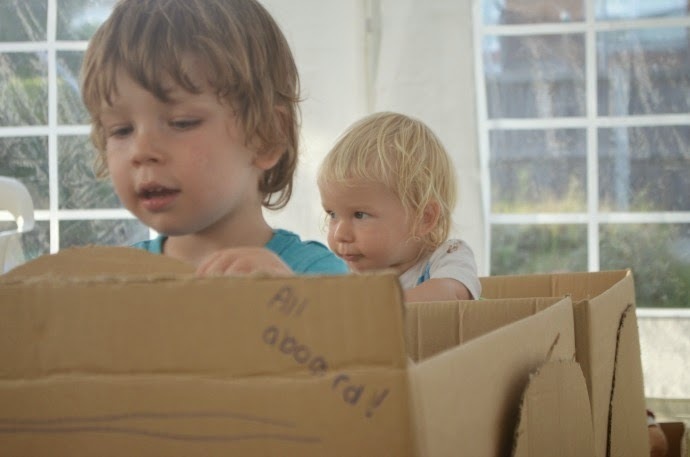 My kids are rather large now and would probably use it to pack away some of their clutter. I hope. My youngest would want to make a train and my older two would want a castle or fort. Lovely photos, it looks like they had fun. I think mine would make a house. I don't have kids but this would be such a lovely gift for my friend whose expecting!